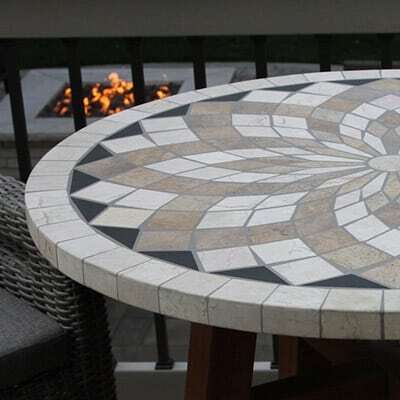 The Outdoor Interiors 30″ Marble Mosaic Bistro Table Top with Decorative Metal & Brazilian Eucalyptus Base brings mixed material styling to your patio and garden. 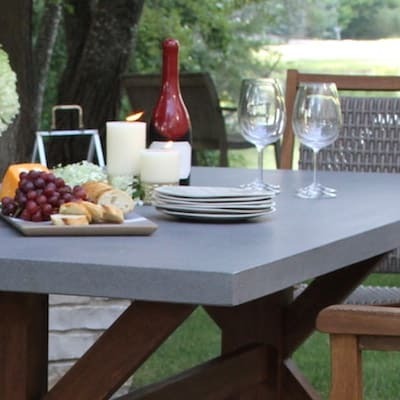 The Bistro Table Top is made from natural marble and a resin & sand based grout for long lasting outdoor use in all climates. 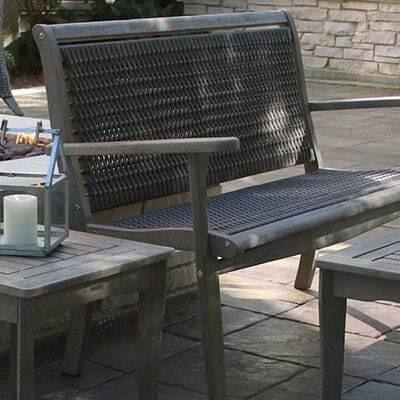 Our materials and construction process provides lasting durability which separates us from similar looking products in the market place. 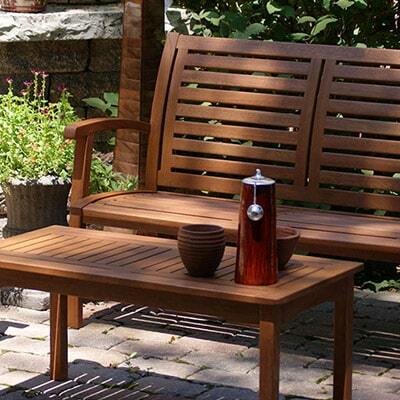 The base is plantation grown Brazilian Eucalyptus Wood and is finished with a beautiful brown umber stain. 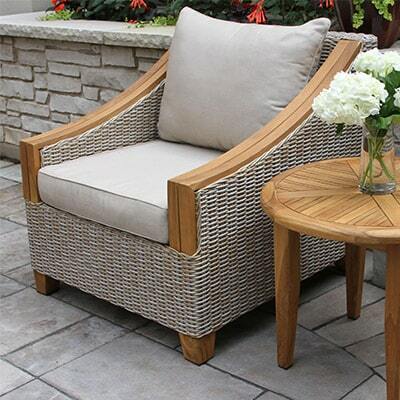 Powder coated metal accents in the base complete the stylish look!